Somehow or another, I stumbled across this recipe for baked donuts at 101 Cookbooks, and I have been wanting to make them all week. They're so delicious--a tender, sweet milk and yeast dough, with a crunchy crust of cinnamon sugar on top--and you can munch on these guilt-free. They're so much tastier and better for you than any fried donut could ever be! I didn't change the recipe at all except for a few modifications to the method. 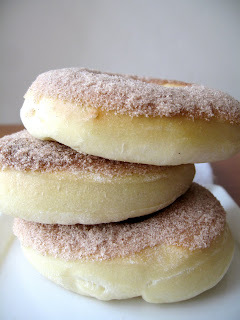 What I love about this recipe is that it works perfectly to shape the donuts the night before and then pop them into the oven (after a brief rest at room temperature) for fresh-baked breakfast donuts in the morning! I mean, who wants to be up at the crack of dawn to get the yeast started? So here is the recipe...hopefully you'll have a chance to bake up a tray of these wonderful donuts for yourself soon! The donuts will be a pale golden color when done; to ensure a moist and tender interior, don't be tempted to overbake these! The cinnamon sugar topping gives them a beautiful finish and a nice crunch. Place 1/3 cup of the warm milk in the bowl of an electric mixer. Stir in the yeast and let sit for five minutes. If yeast does not bubble up, discard and start again with fresh yeast. Meanwhile, stir the butter into the remaining warm milk to melt it. Add the remaining milk, butter, sugar, egg, flour, nutmeg, and salt to the yeast and mix together with the paddle attachment, then switch to the dough hook and continue mixing until dough is smooth and pulling away from the sides of the bowl, adding more flour if dough is sticky or more milk if too dry. Turn dough out onto a lightly-floured surface and knead a few times (dough should be barely sticky), shape into a ball and place in an oiled boil, turning to coat the dough with oil. Cover and let rise in a warm place until doubled, about 1-2 hours. Punch dough down and roll it out onto a lightly-floured surface to 1/2-inch thickness. Cut out 4-inch circles and transfer them to parchment-lined cookie sheets. Then cut out 2 1/4-inch circles from the centers. Loosely cover the donuts with plastic wrap. At this point, you may either let the donuts rise for 45 minutes and proceed to bake them, or refrigerate them overnight. After refrigeration, let donuts rise 1 hour in a warm place. Bake at 375 F just until donuts take on a golden tinge, about 8-10 minutes. 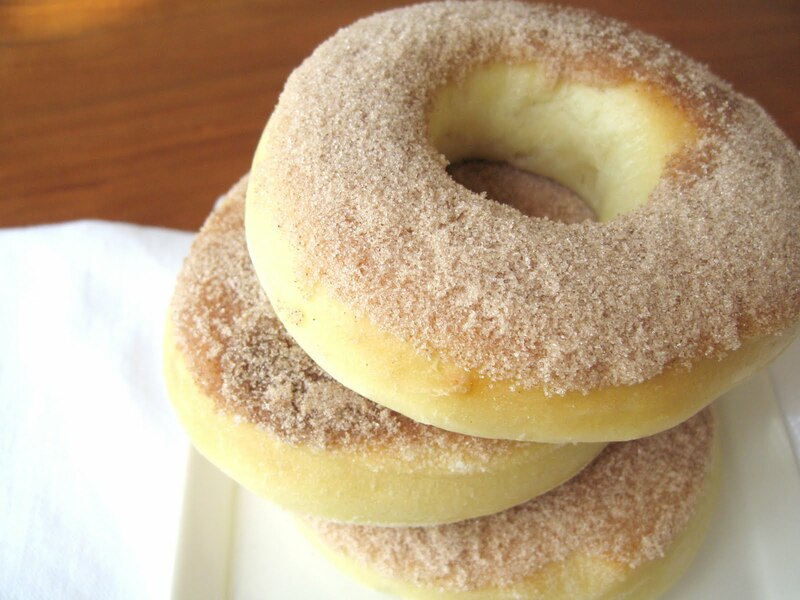 While donuts are baking, pour the 1/2 cup milk into one bowl and mix the sugar and cinnamon in another. It helps if the bowls are 6-inches in diameter (just wider than the donuts) and flat-bottomed. As soon as the donuts are done, dip the tops of the donuts in the milk and then press into the cinnamon sugar. Work quickly to finish this while the donuts are still hot (the heat will melt the sugar slightly, helping it to stick and form a divine crunchy layer). Serve donuts warm from the oven. what a much healthier way to make doughnuts!! thanks for sharing this recipe! Frying doughnuts is the main thing that prevents me from making them. I am happy to have found this yummy alternative. Thank you. Your doughnuts look amazing. simple donuts what could be better than that? well baked not fried i guess :) can't wait to give this recipe a try, i know i will be in for one tasty morning! Baked Donuts? I'm in! They look delicious! Love your blog! 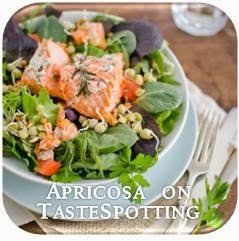 Saw your profile on food buzz. Glad I read your informative and well-written post. Look forward to folowing you here. Cheers! These look great, about how many donuts come from this recipe? Hi everyone, thanks for all the nice comments! These donuts certainly are tasty...I just had one of my leftover donuts for breakfast a few minutes ago. If you do have leftovers, I recommend toasting them for a few minutes on a tray in the toaster oven, to make sure they heat through all the way, and then let them cool briefly to regain the nice crispy cinnamon-sugar topping. 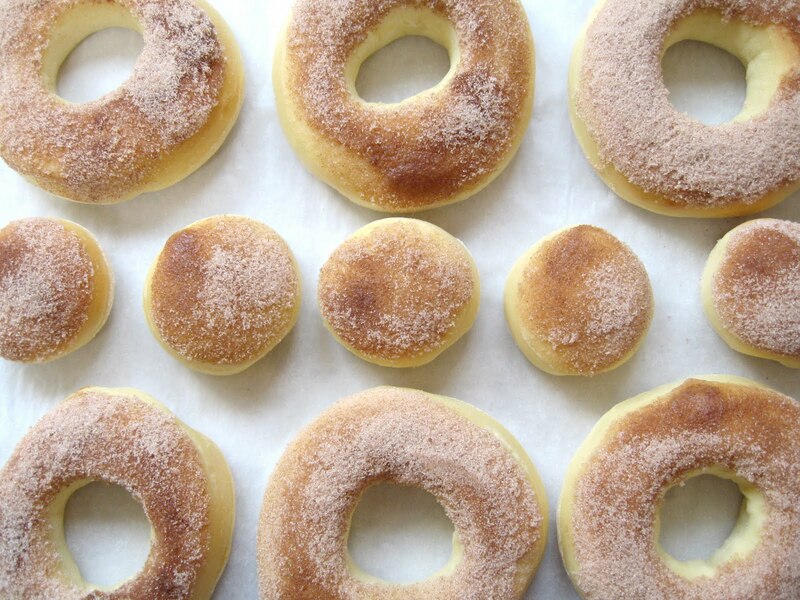 Using a 4-inch cutter, you should get about 10 donuts (plus the donut holes) out of this recipe. This is so nice, Erica-I've never heard of baked doughnuts. I'm accustomed to fried doughnuts, which I love but try to avoid. I'm going to save this recipe to my files. I (unfortunately) LOVE donuts! - but not so much cake donuts. Thanks for sharing a yeasty baked version :) I'm looking forward to trying these. Baked or fried...I love doughnuts! Yours look delicious. These look sooo delish! Donuts are an all time fave of mine and this healthier alternative of cooking them just makes them even better! I just made these and they were amazing! I had to settle for not being able to do the recipe exactly as written like I had hoped, but they still turned out so very yummy! Thank you for sharing this! !